With July 31st around the corner, it is that time of the year when there is a mad scramble to retrieve all your documents and piece information together to file your tax returns. With July 31st around the corner, it is that time of the year when there is a mad scramble to retrieve all your documents and piece information together to file your tax returns. This is especially so when you have income from other sources and capital gains from investments, besides deductions to account for and last but not the least, the unpaid taxes. Filing your taxes is the act of reporting your income and taxes paid. It is not to be confused with paying taxes. Irrespective of whether you need to pay taxes or not, you need to report your income and taxes you have paid. 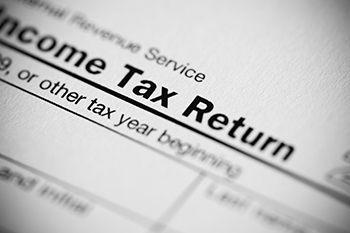 Tax return filing is an opportunity to make adjustments and corrections. If you have paid more than needed, ask for a refund. If you have paid less than the required amount, you may need to pay the remaining as self assessment tax along with penalties and penal interest applicable. It is a common misconception that since taxes have already been deducted by your employer as TDS, you need not file returns. Every individual who has an income or capital gain (irrespective of whether that income is taxable or not) must file their tax returns. Taxes, which have been deducted at source may not reflect in your form 26AS, which is a comprehensive report of all your income and taxes deducted for the financial year. As a result you may have to pay your taxes again, rework computation and bear subsequent penalties. Providing up to date email and mobile number helps you to get updates, OTP passwords and continue correspondence with the IT department. An incorrect date of birth can result in tax benefits not being correctly applied, this would affect senior citizens the most. It is essential to enter correct bank details to ensure timely and correct credit of refund to your account. To ensure that your information is up to date, double check your PAN, mailing address, date of birth, email and mobile number while filing your taxes. Interest earned on all your savings bank accounts is taxable if the collective interest on them exceeds Rs 10,000/-. Section 80TTA of the Income Tax Act 1961, states that an individual or an HUF can claim deduction upto a maximum of Rs.10,000/- from the interest earned on all saving bank accounts held by them. If you’ve earned Rs 7,000/- interest on one savings bank account and another Rs 5,000/- interest on your second. Your total interest is Rs 12,000, of which only the first Rs 10,000 is exempt from tax, while the balance is added to your taxable income. This deduction is not applicable to fixed deposits or recurring deposits. Another popular misconception is that just because these are not taxable, they need not be reported in the tax filing. Since your PAN is associated with all these investments/ instruments and the product or service provider (the bank, mutual fund, company whose equity shares you hold and broker) is statutorily required to report any transactions. It is in your interest to make these declarations so as to avoid penalties later. An error of omission, this typically occurs when you switch jobs during the year. You are required to report the income and tax deductions made by your previous employer when you join your new employer. Your new employer requires this information for proper tax deductions so that all the exemptions of income in the lower tax slabs, Section 80 related deductions, are not claimed twice over. Any irregularity in deductions, may result in a larger self-assessment tax payout and associated penalties and penal interest may be applicable at the time of filing your returns. You are mandated by law to report any investments and associated income which may be in the name of your child (if your child is a minor). The income and investments in the name of the minor should be clubbed with the parent who has higher taxable income. This holds even if your child has her own PAN. Exemption is allowed on income upto Rs. 1,500/- for the child. Any income beyond this exemption limit is added to the income of the parent.